Keep your pressure vessels online. No more forgetting and no more down time to replace sacrificial anodes in your pressure vessels. No more expensive repairs and no more vessel replacement costs. A revolutionary new tool is now available that will allow you to install an impressed current system in all your pressure vessels. 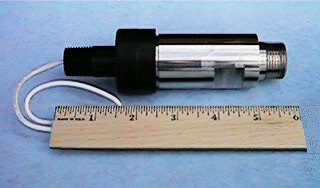 In most cases this tool will also let you monitor the cathodic potential of your vessel either manually or electronically via computer.